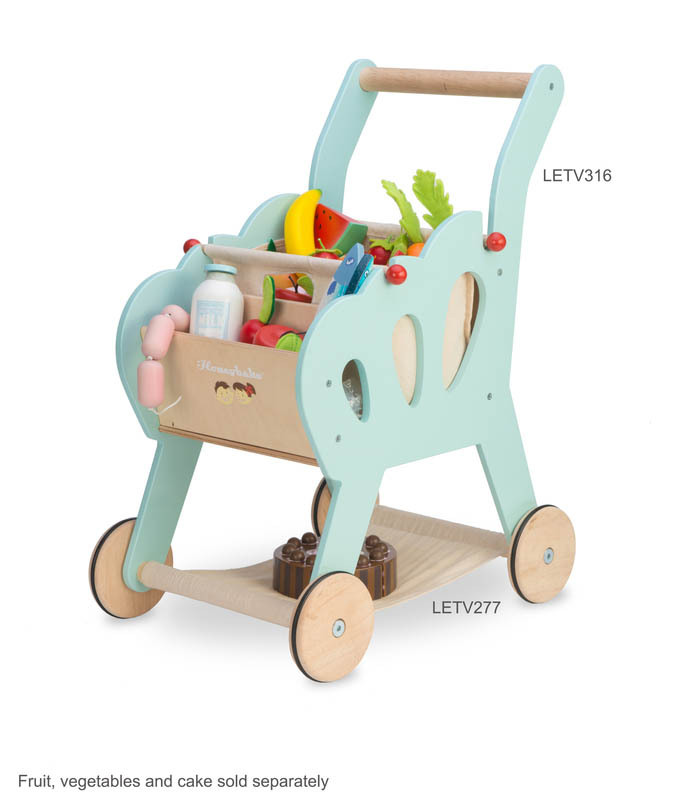 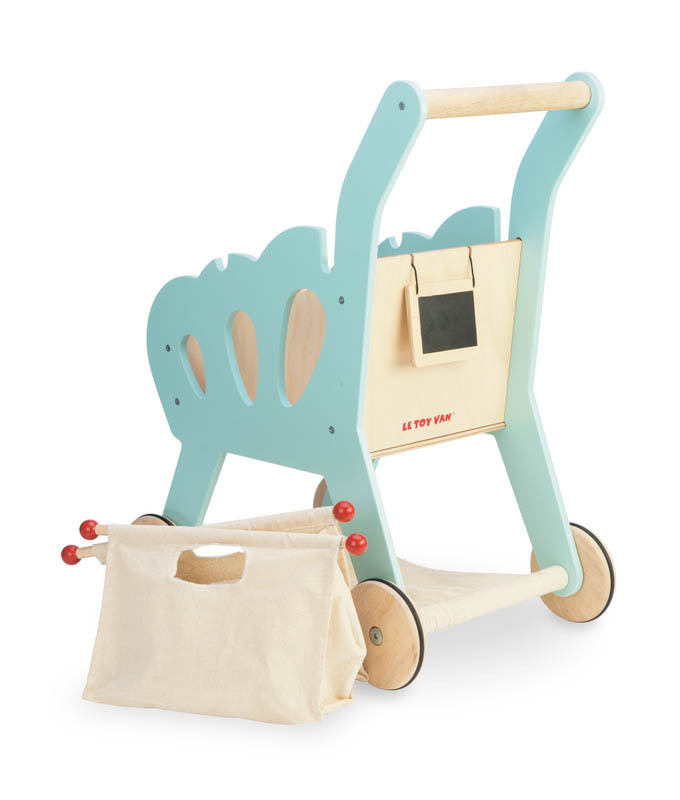 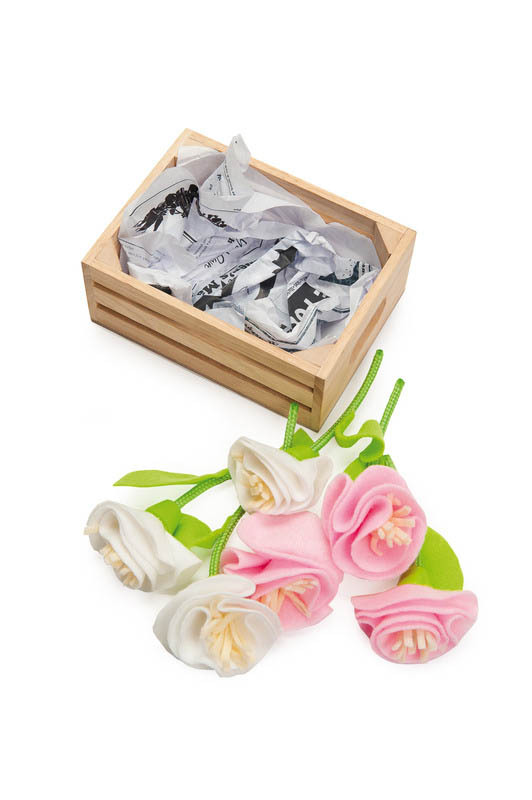 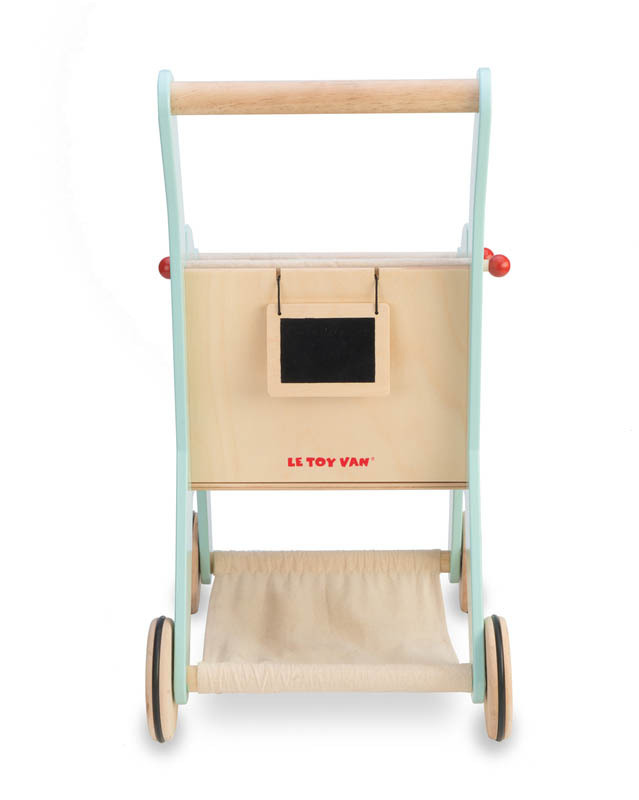 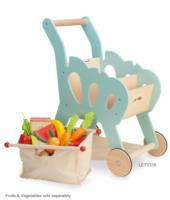 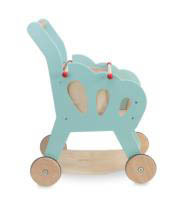 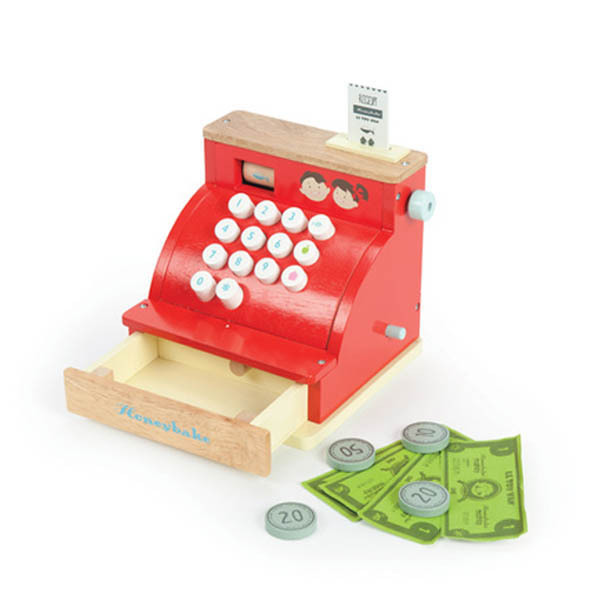 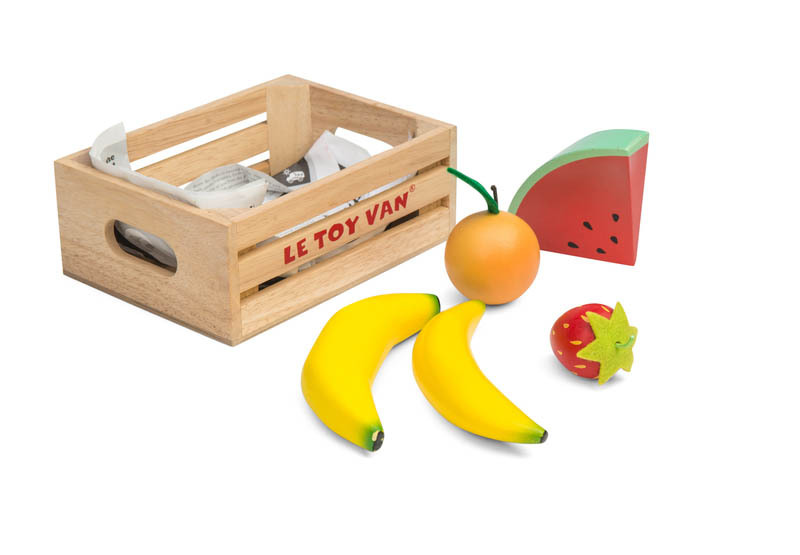 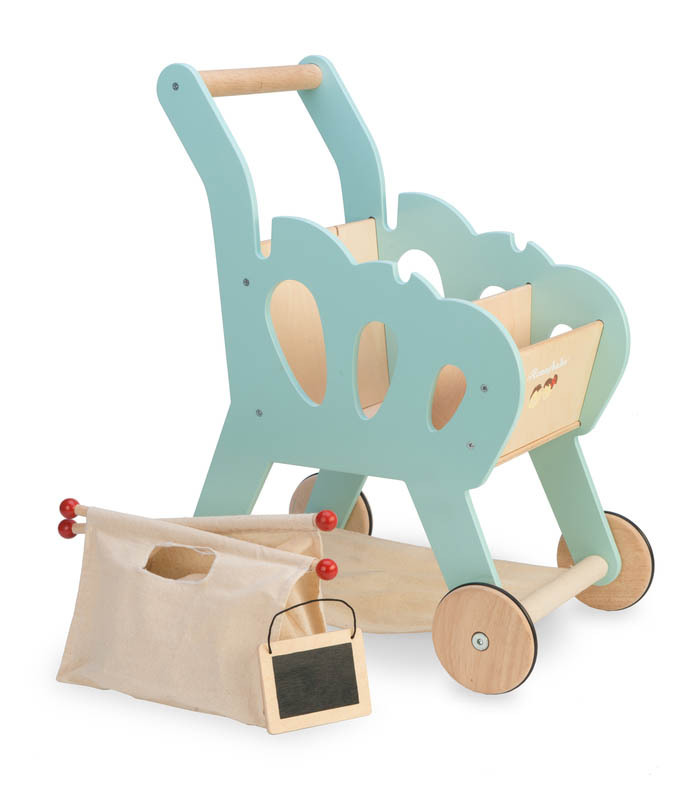 From the delightful Le Toy Van Honeybake Range, enjoy lots of role playing fun when you load up all your goodies into your wooden Shopping Trolley. 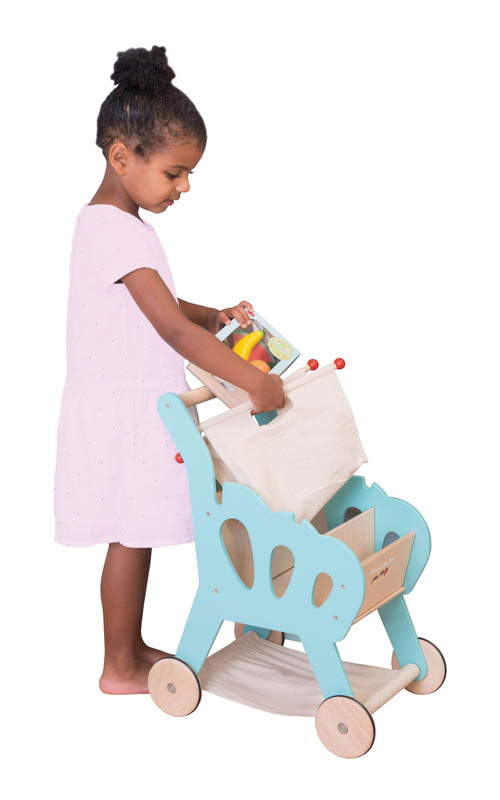 Featuring two internal wooden compartments, a fabric storage level underneath and a high quality, detatchable fabric shopping bag. 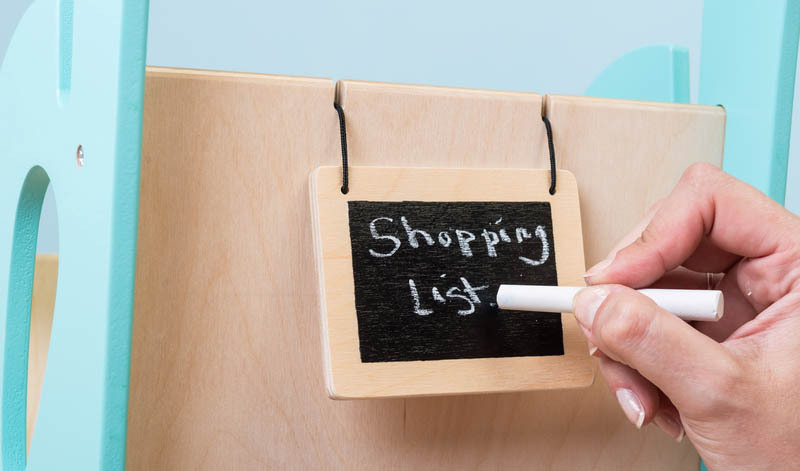 Don't forget to make a shopping list on the mini chalkboard before you go to the markets - there's even room to take along your favourite soft toy to help! 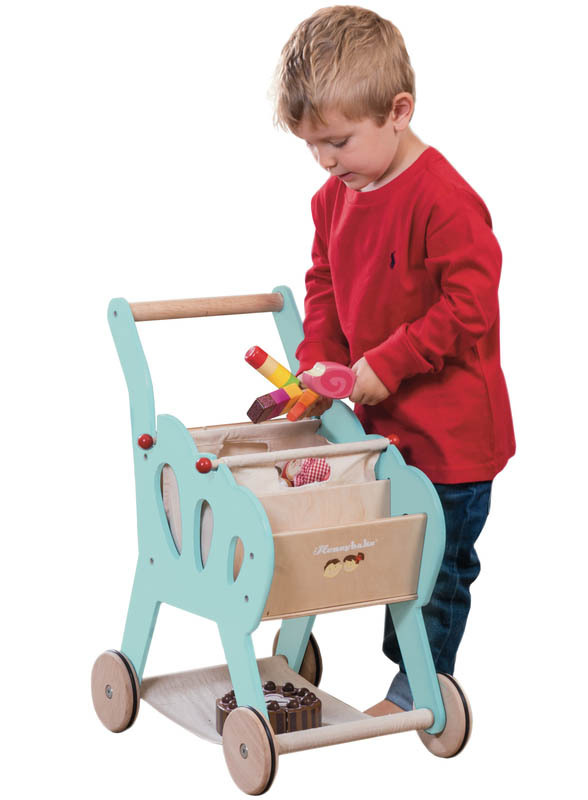 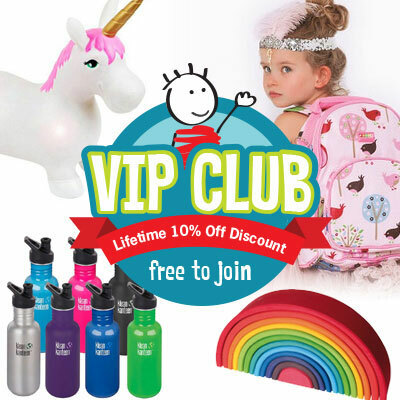 Fantastic fun for role playing, imaginary play and developing speech skills. Food not included, sold separately.